This morning many news outlets, including the BBC, covered a very promising development in lung cancer therapy; the successful clinical trial of the cancer immunotherapy Nivolumab in 582 patients with advanced lung cancer. While the extension of survival was modest in most patients, it is to be remembered that these were patients with advanced lung cancer, which is notoriously difficult to treat, so to see the survival time doubling in some patients was quite dramatic. Future trials will examine whether greater benefits are seen when Nivolumab is given earlier in the course of the disease. Nivolumab works by blocking the activation of the PD-1 receptor protein found on the surface of many of the immune cells that infiltrate tumours. Another protein named PD-L1 binds to PD-1 and initiates a regulatory pathway that leads to the immune response being dampened down. Usually this is a good thing as it maintains immune tolerance to self-antigens and prevents auto-immune damage to healthy tissue, but unfortunately many solid tumour cells, such as lung cancer cells, also secrete PD-L1, and by activating PD-1 can evade destruction by the immune system. By blocking PD-1 Nivolumab turns off this protective mechanism and allows the immune cells to detect and destroy the tumour cells. 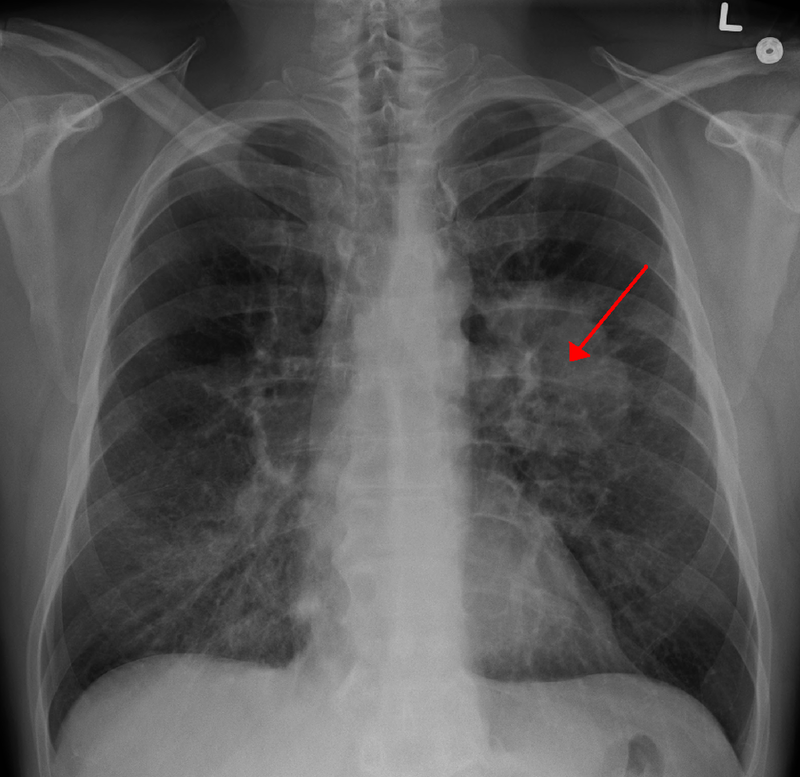 X-ray of a lung cancer patient. Image credit: “LungCACXR” by James Heilman, MD – Own work. So how was this discovered? This is where the knockout mice come in. Scientists had observed in the 1990’s that PD-1 was highly expressed on the surface of circulating T- and B- immune cells in mice, but didn’t know what role PD-1 played, suspecting that it may be involved in increasing the magnitude of the immune response. To examine the role of PD-1 researchers at Kyoto University in Japan led by Professor Tasuku Honjo created a knock-out mouse line where the PD-1 gene was absent, and observed that this lead to some immune responses being augmented. In a paper published in 1998 they reported than rather than being an activator of the immune response PD-1 was actually involved in dampening down the immune response (1). Subsequent studies in a range of PD-1 knockout mouse strains over the next decade explored the role of PD-1 in regulating the immune system, and also demonstrated that its ligand, PD-L1, could block immune-mediated tissue damage (2). At the same time as these studies were taking place other research was demonstrating that PD-L1 was produced at high levels by tumour cells, first in renal cell carcinoma in 2004 (3), but later in many other solid tumours including in lung cancer (4), and that this expression was associated with a decrease in the immune response to the tumour and a poorer prognosis. This raised an obvious question: would blocking PD-1 improve the immune response against these tumours? Work was already underway to find out. A paper published in 2007 by scientists from Nara Medical University in Japan demonstrated that blocking PD-L1 binding to PD-1 with monoclonal antibodies enhanced the immune response against established tumours in a mouse model of pancreatic cancer and acted synergistically with chemotherapy to clear the tumours without obvious toxicity (5). Subsequent studies with other monoclonal antibodies in a range of mouse and in vitro models of cancer showed similar results, including the humanized monoclonal antibody MDX-1106, now called Nivolumab, which was obtained by immunizing mice which had been genetically modified to produce human antibodies with human PD-1 (6). Cancer Immunotherapy – adding another accomplishment to an already impressive CV! MDX-1106/Nivolumab showed promising results in a phase 1 trial against metastatic melanoma, colorectal cancer, castrate-resistant prostate cancer, non-small-cell lung cancer, and renal cell carcinoma, and following larger clinical trials (7) it was approved by the FDA for the treatment of melanoma that cannot be removed by surgery or is metastatic and no longer responding to other drugs, and more recently for metastatic squamous non-small cell lung cancer. The story of the development of anti-PD-1 cancer immunotherapy is an illustration of how basic or fundamental biological research in animals informs medical science, and drives the discovery of new therapies. As cancer immunotherapy begins to transform the treatment of many previously untreatable cancers, it is well worth remembering that this revolution has its origin in the hard work of countless scientists working around the world, many of whom could only have guessed at the time where their efforts would eventually lead. Breaking news, 1 June 2015: In another exciting report from the American Society of Clinical Oncology meeting in Chicago, researchers have reported that in a clinical trial of 945 patients with advanced metastatic melanoma a combination of Nivolumab with Ipilimumab (another cancer immunotherapy that works through a different mechanism) stopped cancer advancing for nearly a year in 58% of cases, with the cancer still stopped in its tracks in many patients when the study period had ended. This is substantially greater effect than is seen with existing therapies, including Ipilimumab when administered alone, and shows how powerful cancer immunotherapies may be when two or more are combined. 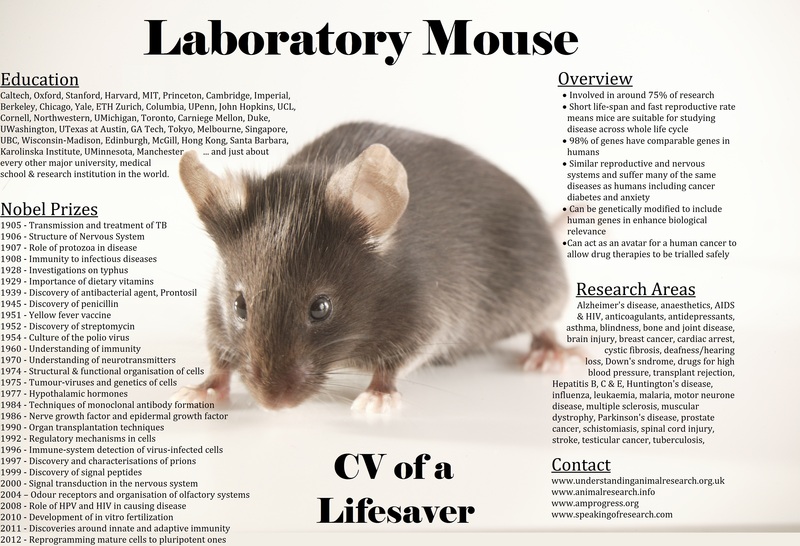 Posted on May 30, 2015 October 5, 2015 by EditorPosted in News, Science NewsTagged animal research, animal testing, cancer, Cancer immunotherapy, Lung cancer, Nivolumab, PD-1.